5×10 Marine Okoume Now in Stock! Marine Sapelli Now in Stock! Douglas Fir Marine Plywood is a very strong marine grade plywood. It bends well and is of a medium weight. It is a more affordable option for marine plywood applications. Applications for Marine Fir can be home projects, commercial projects, counter-top underlayment, as well as cabinets, furniture, boat houses, wooden toys, garage & carports; shelving cabinets, playhouses, platforms for bed frame, overlay applications, outdoor signs, boat building, docks, and more. Okoumé Marine plywood is graded as being compliant with BS-1088, which is a British Standard for marine plywood. Our Marine Okoume plywood has a Lloyd’s of London stamp that certifies it to be BS 1088. Okoume is a fast growing, plantation grown tropical hardwood. Okoume’s clear, beautifully figured grain has a golden, honey colored hue beneath epoxy and varnish, while its low density provides ultra light weight for hull applications. Okoume is ideal for boat building, soffits, the transpiration industry, joinery work (interior & exterior), cladding, interior fittings and more. Marine Meranti is made in accordance with British Standard BS-6566 which requires that the Face veneers shall be at least 1mm thick after sanding. No wood repairs are used in the face. Inner ply’s can consist of two or more species of veneer and core gaps shall not exceed 3.2mm (1/8″). Gaps shall be putty filled to protect from moisture. Marine Plywood is used as a building material in a marine setting, such as ships or docks. 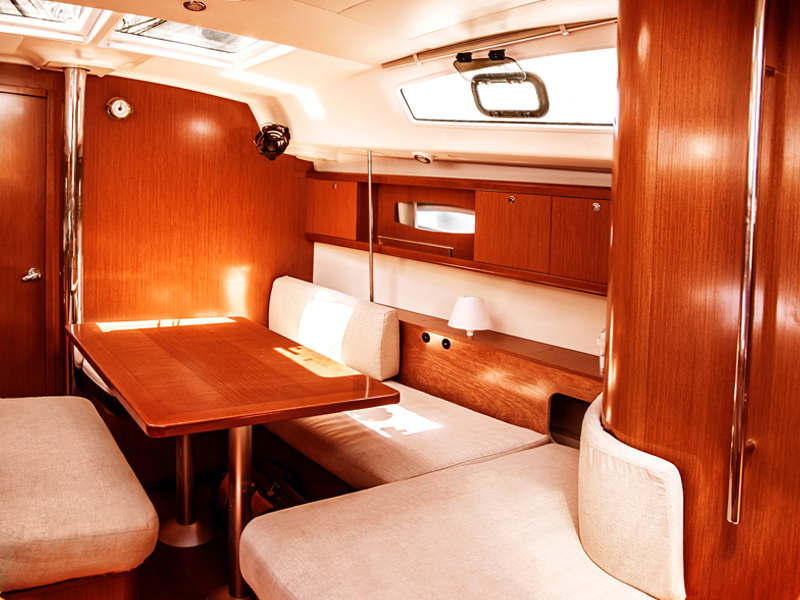 Marine Plywood performs well in wet conditions, humidity, or anywhere it will be exposed to prolonged moisture. Unlike most woods, it will resist the bending, warping, or delaminating which can often result from too much moisture. This increases the durability and structural strength of Marine Plywood making it a good choice for marine construction. Marine Plywood can be used for storage shelving, cabinets, furniture, boat house, playhouses, overlay applications, outdoor signs, boat building, docks and more. Marine-grade plywood, often called Marine plywood, is manufactured from durable face and core veneers with few defects; so, it performs longer in both humid and wet conditions and resists delaminating and fungal attack. Its construction is such that it can be used in environments where it is exposed to moisture for long periods. Each wood veneer will be from tropical hardwoods, and will have negligible core gap, limiting the chance of trapping water in the plywood and hence providing a solid and stable glue bond. It uses an exterior Water and Boil Proof (WBP) glue similar to most exterior plywood.